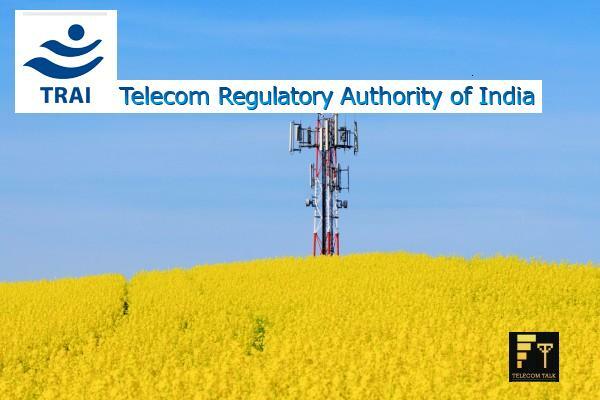 India’s telecom regulator TRAI released a report on its activities for calendar year 2013 on the new year day to present a synopsis for the benefit of stakeholders (telecom operators) and consumers. We bring out the summary for the benefit for of our readers here. It may be noted that TRAI has jurisdiction over the broadcasting sector in addition to telecommunications. In the interest of consumers TRAI undertook several measures in 2013. Taking cognizance of the fact that excessive advertising was adversely affecting the TV viewing experience of the consumer, TRAI imposed a cap of 12 minutes advertising per hour on TV channels. TRAI has observed that this practice is prevalent across many countries in the world. TRAI has issued directions to seek compliance reports on benchmarks in respect of the Quality of Service parameters for wireless data services, from the unified access service providers and cellular mobile service providers. All cellular mobile service providers are required to provide to the regional offices of the Authority and to the audit agencies appointed by the Authority, by the 5th of each succeeding month, data for every month on quality of service performance. Standard tariff packages were published for supply and installation of Set Top Boxes (STBs) to consumers under Digital Addressable Systems (DAS) notified areas, and for supply and installation of Customer Premises Equipment (CPE) to consumers of Direct-to-Home (DTH) service, respectively. Operators were also allowed to provide their own schemes and subscribers had the option to choose the best. The prominent one under retail tariffs was a ceiling on roaming charges – The ceiling tariffs have been reduced from Rs. 1.40 per minute to Rs. 1.00 per minute for outgoing local calls, and from Rs. 2.40 per minute to Rs. 1.50 per minute for outgoing STD calls while on national roaming. Similarly, the ceiling tariffs for incoming calls while on national roaming have been reduced from Rs. 1.75 per minute to Rs. 0.75 per minute. Tariffs for outgoing SMS while on national roaming which were earlier under forbearance have now been capped; outgoing SMS-local at Rs. 1.00 per SMS and outgoing SMS-STD at Rs. 1.50 per SMS. Incoming SMS remains free of charge. Mobile Banking – Noting that mobile usage is increasing for financial transactions, TRAI facilitated interactions between banks and telecom service providers to shape decisions to move forward. Mobile banking has become important for attaining the goal of financial inclusion which is of national importance. Further, a ceiling rate of Rs. 1.50 per USSD based session has been prescribed as the customer (retail) tariff for the use of the USSD based channel for mobile banking by mobile subscribers, so that mobile banking becomes universally available at an affordable tariff. Code of practice for metering and billing accuracy was amended and guidelines issued. When Supreme Court ruled M/s Unitech Wireless to shut down their services, TRAI issued a directive to all service and number portability providers to facilitate porting of such numbers. Corporate MNP – provisions were made to allow porting of more than one (up to 50) number through a single application. Certain other rules govern this kind of porting. Hefty fines and checks at various stages were introduced to combat spam. Our analysis then SMS Dying: TRAI, Telcos or Messaging Apps – Whom to be Blamed for? Train accident information short code 1072 was accessible only to BSNL customers. After learning about this from Ministry of Railways, TRAI issued a direction on 16th July 2013 to all access service providers to open the short code 1072 in their fixed and mobile networks for train accident information. The Telecom Consumers Complaint Redressal (Second Amendment) Regulations, 2013 dated 11th September 2013 intends to improve the effectiveness of the complaint redressal mechanism of the service providers, by increasing awareness about the mechanism of the Appellate Authority and also facilitating easy filing of appeals. TRAI has instituted a procedure for registration of consumer bodies and organizations. These organisations are expected to co-ordinate and articulate consumer responses to TRAI’s activities, and also assist TRAI in consumer education. FDI Policy: The FDI limit for the broadcast carriage services has been recommended for enhancement to 100% and that for uplinking of ‘News and Current Affairs’ TV channels and FM radio services to 49%. Emergency Services: TRAI sought consultation from concerned quarters about the possibility of moving to single unified emergency number. Recommendations were made on telecom network failures during emergencies/disasters – priority routing of calls of persons engaged in ‘response and recovery’. Overall, TRAI has done a really good job in protecting the interest of consumers and tried to preserve the momentum of growing telecommunications industry. Let’s look forward to much better measures from TRAI in the year 2014. What about Data services , in most area of uttarakhand not a broadband service covered.BSNL is worst service provider , people have no option ,mobile internet plan bandwidth not upto the mark ,no unlimited plan. without 512 KBPS bandwidth in mobile data service what the use of that only waste of money as well as precious time with energy , TRAI are only a name of statue not a regulator.